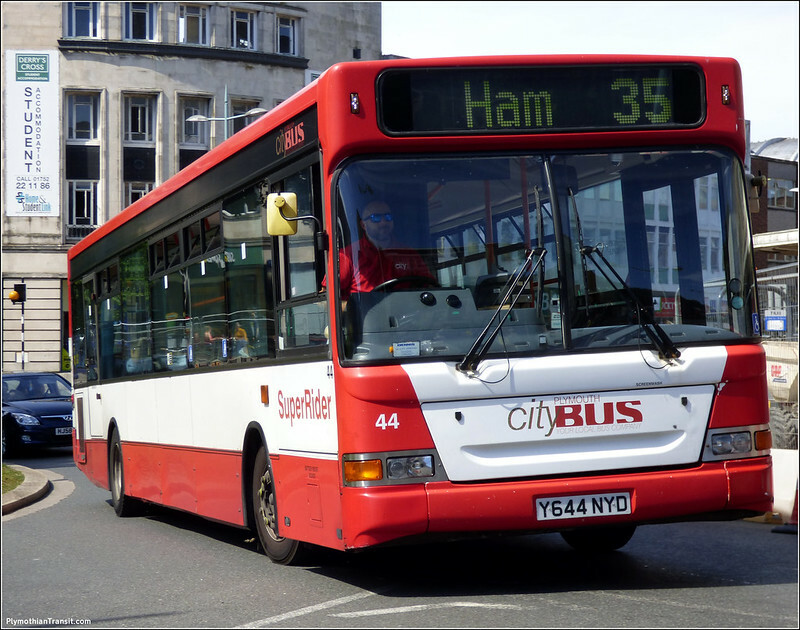 I have made a few updates to the Plymouth Citybus fleet listing over the last few days. Many of these are just confirming the status of the older withdrawn Darts as they slowly disappear off for scrap, but of note is the selling of Dennis Dart 44 to an operator in Cornwall: OTS Coaches, Falmouth. 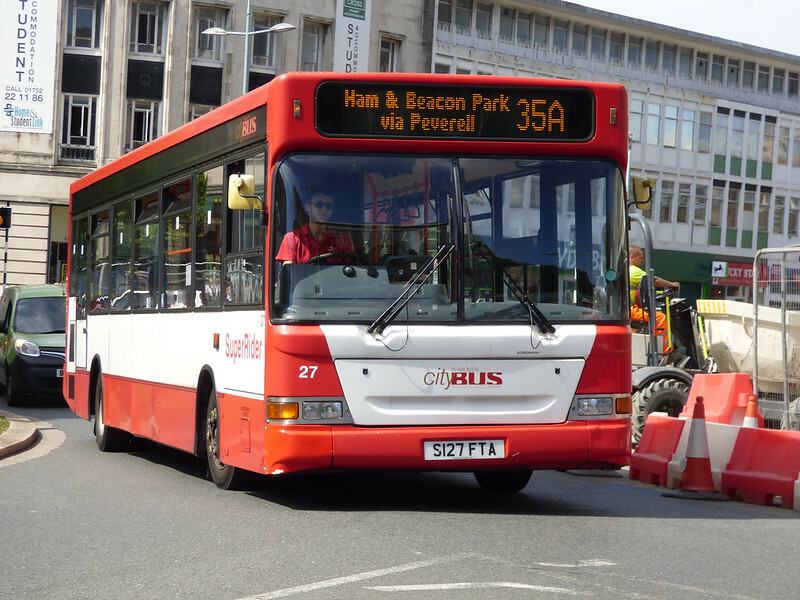 Another bus off the fleet is 27 S127FTA which is now owned by Jason Beverley joining the collection at the Plymouth City Transport Preservation Group. 23 August 2016: By nice coincidence the same date was also my last photo of 27 in service! Saw shell of 30 being towed away from Milehouse yesterday. Also 711 was out yesterday working on 27A. Target X657WYG was back in service and one of the ex- Citybus MPD has been painted in white/dark green. Stagecoach 37142 is in Plymouth working on 5/A. So how many gas buses actually out in service in total now? Stagecoach 37142 working the 2/2A NOT 5/A. Another recent arrival at Plymouth is 34776. Gas buses regularly seen in service last week were 701, 703, 705 and 711. 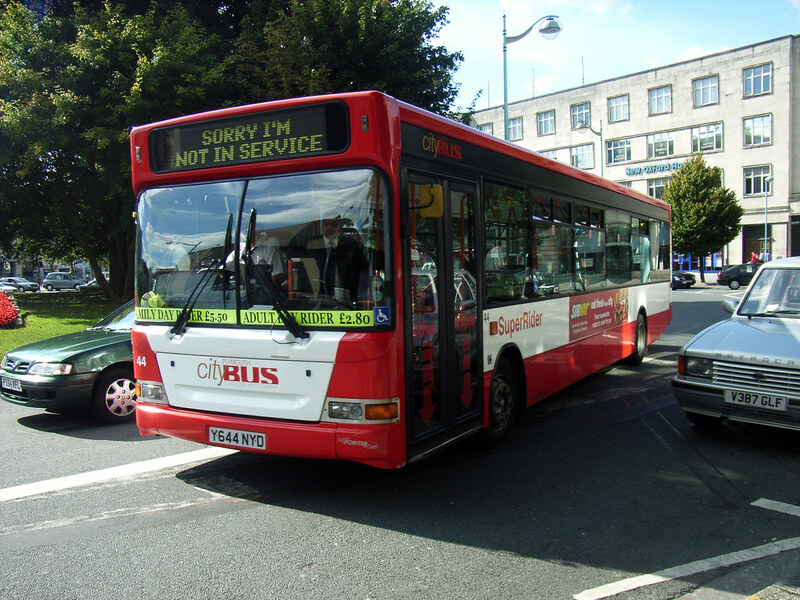 712 has previously been seen in service, but not last week. Thank you for your Dart list, it is very much appreciated. 53 and 54 in service. What has happened to 4321 and you need to add it on your fleet list. 709 and 710 are still in Anglican livery and LX05EYW is in the spraybooth. You are wrong about 709 and 710, they are Red Swooped! I think this is the second time you have said to Graham "you need to add it on your fleet list"
Graham works full time, is a family man and gives up a lot of his spare time to run Plymothian Transit. I'm sure he will in time add it on his fleet list, but he just can't drop everything to keep you happy. Anonymous 22 Jan at 05:36, I'm afraid fleetnumbers and age are irrelevant when it comes to the condition of a bus. I think you have answered your own question really. It's the condition that's important and quite often it is the cost to repair a major fault which leads to earlier withdrawal, especially when they only have a short life expectancy anyway. Presumably the newer Darts have a higher resale value? It isn't unusual for a bus operator to dispose of newer vehicles and retain older ones. Apparently RedFlash E400s are due to be replaced in summer this year by the E400 City's, 16 on order due around July time. 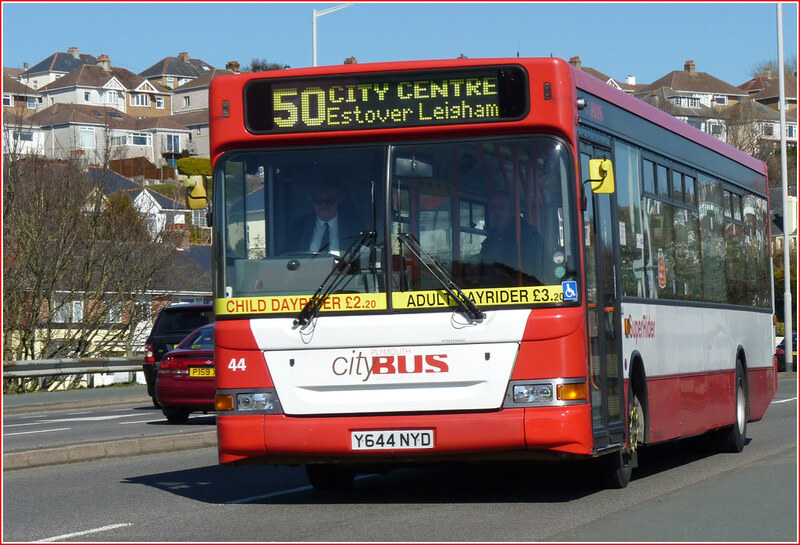 The 63 plate E400 stock will then be allocated elsewhere in the network. 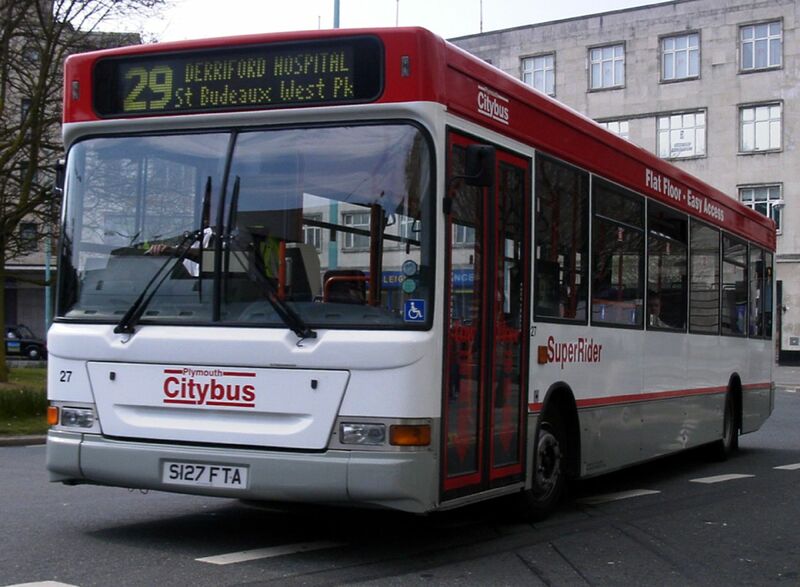 I was told that outside of London, Plymouth's 'RedFlash' is the second largest route in the GA group in terms of revenue! Also, apparently Purple and Black also on the cards for 'Flash' branding? Not sure of how legit that is. I heard today that the Optares have all been sold! Can anyone confirm this? 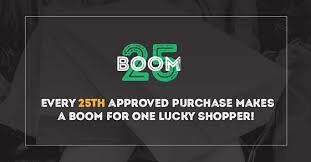 there is a solo out on the 28 today 31st jan so some could be gone?? The other Solos 220-224 will be in service for a few more weeks yet, but will also be going to Go North East. That would not surprise me, although 206 is probably still around due to its livery, and certainly 221 and 223 were in service towards the end of last week. I dont know why you feel the need to demand evidence that 709 is swooped. It is, I have seen it, as have several others. I am not sure if its in service yet though. The Optares WILL be going fairly soon, unless plans change. No one above says that the 27 will be purple flash. That was the original plan though. I am sure that the colours are availabel fro any future Flash route. Out of interest how many gas buses are now regularly in service every day? Assume the 27 will still be operated by them just not in Purple Flash livery or have those plans changed now that most are in red swoop livery? Bloomin cheek. If you don't believe the many good people who take the time and trouble to post updates and pictures to Graham's excellent blog, then get off your backside and go out and look for yourself. An agreement to sell the Solo was reached last week (i.e. before the 27th January) and, as Graham has posted today, the first have departed for Go North East. I'm sure that Graham will be reporting the arrival of these at Go North East over the coming weeks (with photographic evidence! ).